Neymar's father reiterated on Sunday that there has been no attempt whatsoever to contact Barcelona over a possible return to the club. "Barca are a huge club, we were very happy over there," Neymar Sr told TF1 on Sunday. "It's impossible to leave a player like him out of these (transfer market) rumours. But it's a lie, there hasn't been a call with Barca." Neymar sr. had taken to social media to brand a media report from Spain stating that he had begged the Spanish giants to re-sign the world's most expensive player from PSG as "fake news"
"There are two people who speak for Neymar: himself and me. Neither of us has spoken about this intention to return to Barcelona," he added. "These rumours amuse us a lot. These journalists are funny. The future is in Paris, the present is in Paris." The Brazilian star is currently sidelined for 10 weeks with a metatarsal injury in a French Cup match against Strasbourg on January 23. In his absence, PSG have recorded a 2-0 win over Manchester United at Old Trafford in the first leg of their Champions League Round of 16 match against the Premier League giants. PSG hope that Neymar will be back for the Champions League quarter-final should they go through, with the second leg agianst Manchester United at the Parc de Princes on March 7. 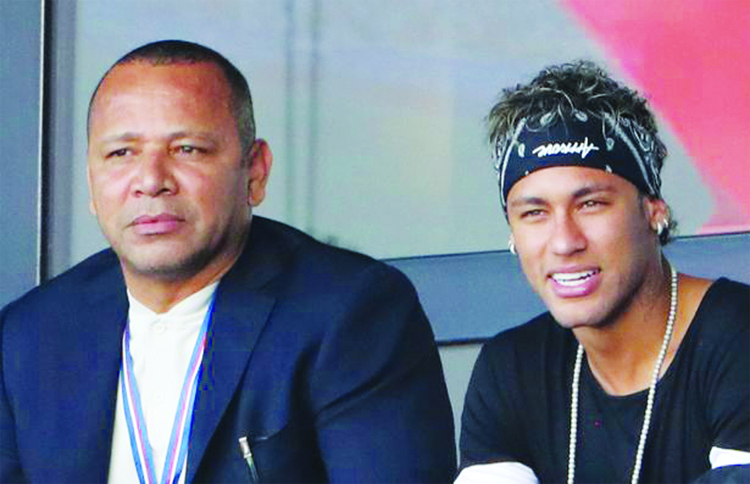 Neymar sr. called upon referees in France to provide more protection to his son. "It's not the French league that is the problem, it's the referees who must protect the players," he said. "If fouls aren't whistled, if unsporting behaviour goes unpunishedâ€¦ that's the problem."